In this post , we will see how to customize 403 access denied page. If you want to configure custom 403 access denied page, there are two ways to do it. 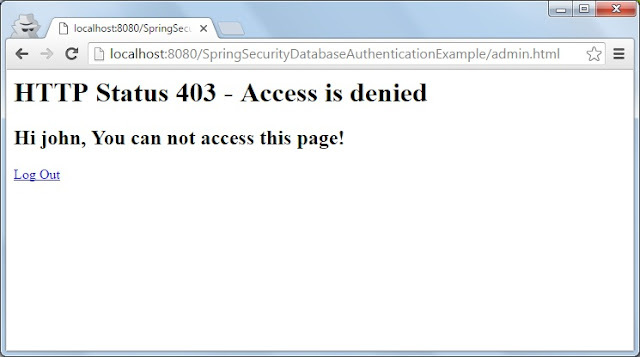 You can put entry for attribute access-denied-handler in spring-security.xml as below. Please refer to Spring security database authentication for spring-security.xml and other files. You can also use AccessDeniedHandler to handle 403 access denied page. You need to add ref in http tag in spring-security.xml.